I installed my JHM LSD about one year ago, and after a year of testing I’m finally ready to share my review here. 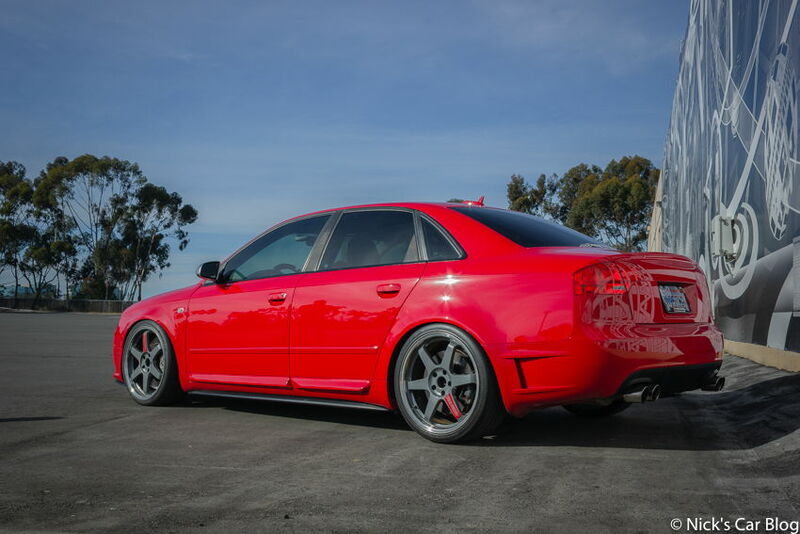 I was eagerly awaiting this modification and was one of the first people to buy and install it, as I’d heard my race car friends talk at length about how great LSDs were and what a travesty it was that no one really sold a LSD kit for the B6/B7 S4 before the JHM kit came along. Not knowing much about LSDs, I had very, very high expectations that I could simply install the part and it would turn my car into a RWD drift machine, which in hindsight was not only silly but probably undesirable. After having the kit installed, at first I was fairly underwhelmed; with traction control on and driving around town in a normal fashion (how I do 98% of my driving), it is almost completely unnoticeable…after reading up about LSDs, this makes total sense, but to a LSD noobie I was disappointed I couldn’t feel the impact of the part in daily driving. So first, I’ll share a better understanding of what a differential is, and why you’d want a limited slip differential versus an open one, and thus when a LSD is noticeable or not…if you already know this, feel free to skip ahead to the bottom section and spoiler alert: I love mine and think its an awesome product! The JHM Helical LSD is super predictable and easy to drive on the track. This is where it really shines. The car sometimes understeers, sometimes oversteers, but overall feels pretty neutral. You can do some throttle steering and power out of turns in ways I couldn’t before. Several times I would hear the rear tires squeal instead of just the fronts like I was used to. The LSD is definitely noticeable and helped a ton of the handling of the car on the track, a total game changer. You learn that each lap you can take turns a little quicker, and get on the gas a little sooner, than you thought was possible before. After an entire day of hitting the same course over and over, I was still finding was to improve my lap times and carry more speed through each turn. While I’m not one to drive recklessly, and would never showboat out of a car show or around pedestrians, I have to admit I wanted to know if my underpowered, overweight 4 door sports sedan was capable of a donut now. 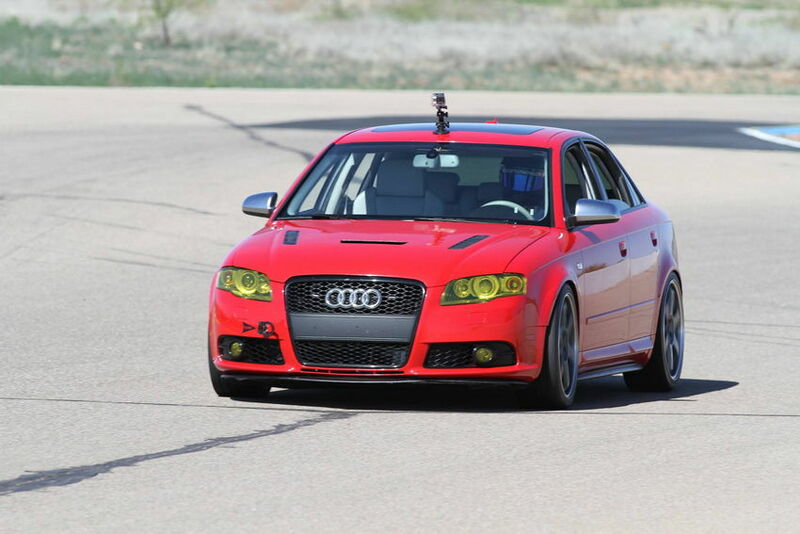 While JHM has posted videos of their supercharged S4 lighting up tires, that car had nearly +100 horsepower on my car that was still naturally aspirated and only had a few bolt-ons, and the car with my old differential could barely break loose a tire. On dry roads, you can get the tail out pretty good and even do donuts, although it requires flooring the gas and taking the steering wheel close to full lock (warning, don’t go to full lock when doing this, it’s a good way to blow your power steering up). In wetter conditions, the effect is even more noticeable. The video above was with Hankook RS3 tires which are very grippy, so just imagine how much more traction loss you can get with cheaper/crappier tires, whereas the video below was with some cheap Nankang tires. My #JHMLSD Review: Should You Get One? Ok – so now we know what an LSD is, and what type of driving conditions and scenarios it helps improve…so now on to my review of the product itself. The JHM LSD is available for the B6-B7 A4 and S4, although not the RS4 at this time. It’s a Helical style LSD, which means it won’t need servicing like a mechanical/clutch plate LSD would, which is very nice. It also carries a limited lifetime warranty, is fairly affordable at $800, and is a direct fit for your car…as far as LSDs go, this one is well built and checks all of the boxes, JHM knocked it out of the park and gave it plenty of R&D so you can buy confidentially if you want an LSD for your S4. great post and educational from a technical standpoint. A little off topic, those side skirts you have I can find online easily. I see they are carbon? But the front one I have never been able to find? Do you have links for these and also how is the fitment?